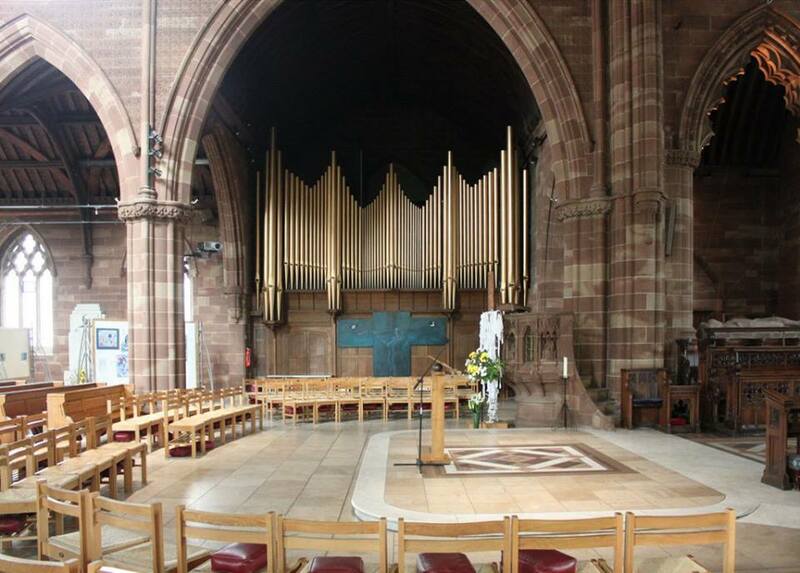 The organ was originally built by Harrison and Harrison of Durham in 1907 as a 3 manual instrument situated in a chamber on the north side of the chancel. In 1955 the organ was rebuilt by Compton and moved to its present location in the north transept. 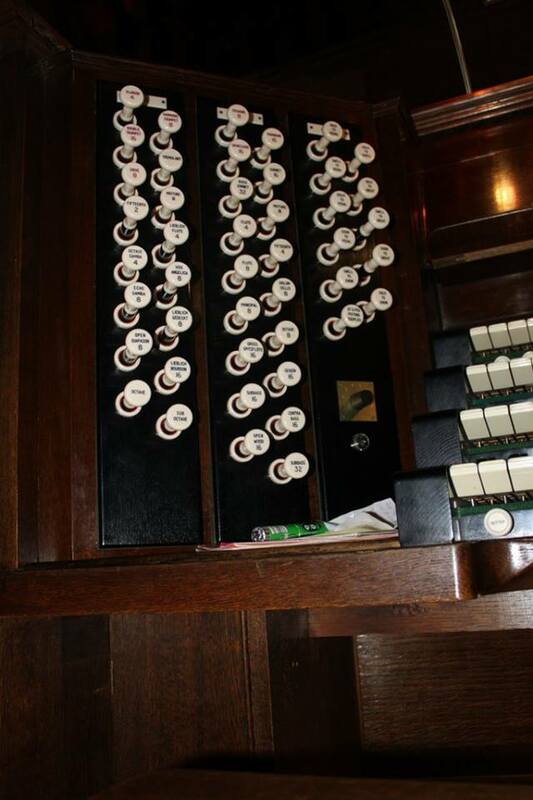 A new detached drawstop console was provided on the south side of the chancel. As part of the rebuild, the original choir division was split and a new enclosed solo division was created with the addition of new stops including Tuba, Cor Anglais and Clarinet. 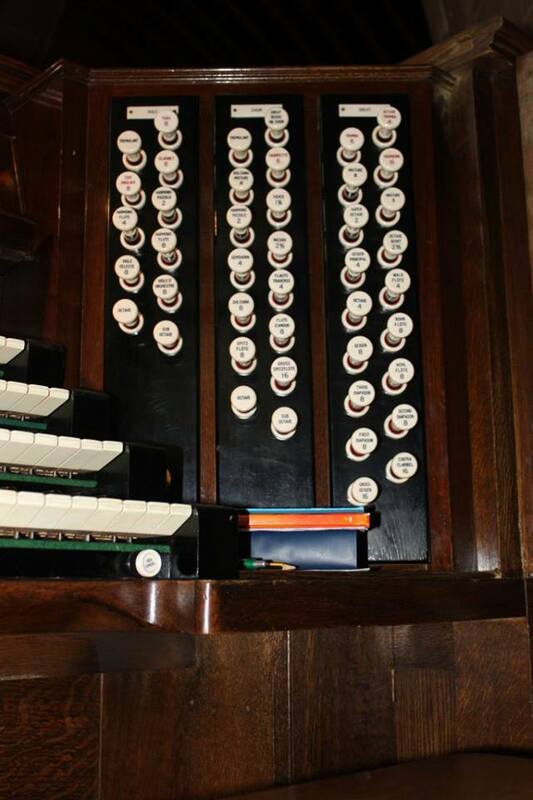 In 2000 the organ was restored by Nicholson's of Malvern, Worcestershire. 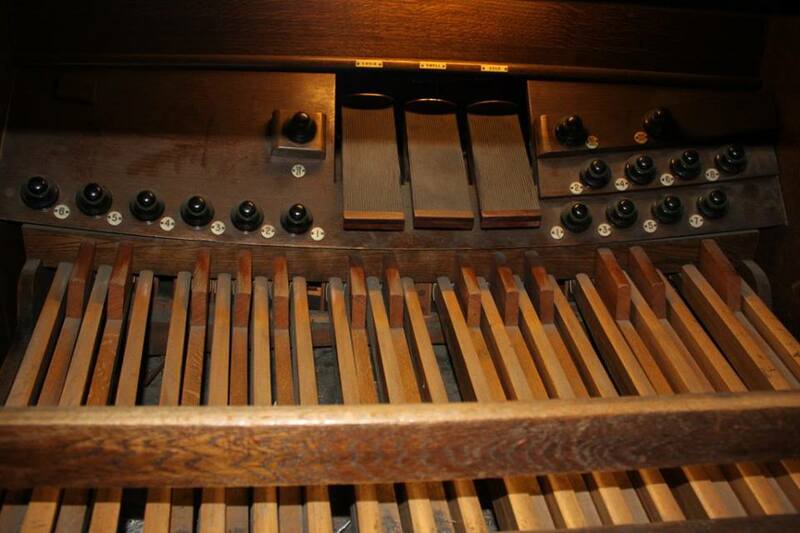 As a Compton organ enthusiast it is a delight to see that the console remains original including flat head drawstops, thumb pistons and swell pedal indicators.